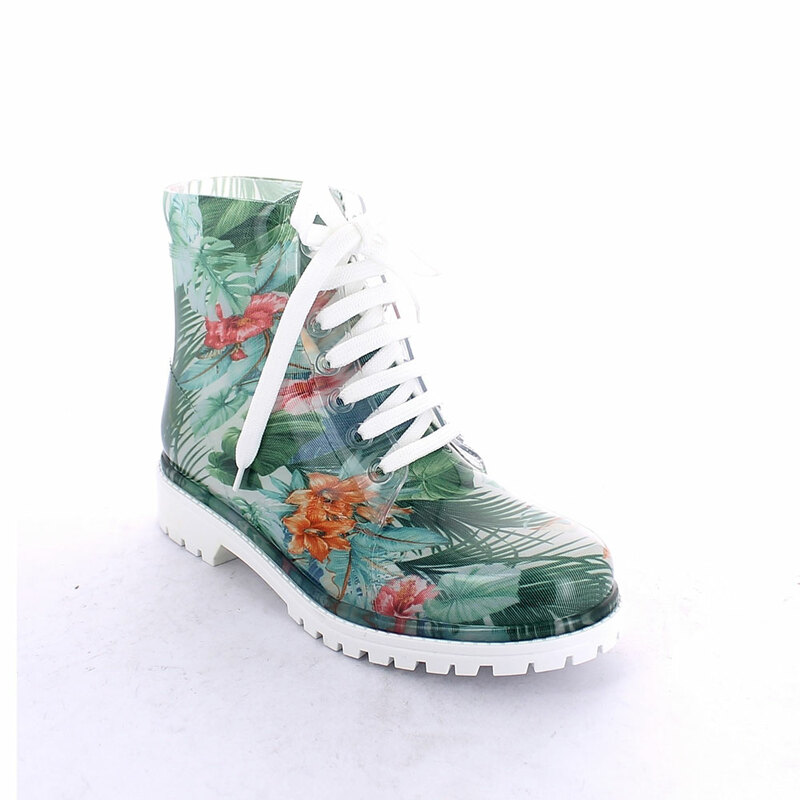 Short laced up boot in transparent pvc with bright finish and cut and stitched lining with pattern "Green Tropical Flowers"
Short laced up boot in transparent pvc with bright finish and cut and stitched lining with pattern "Green Tropical Flowers". Made in Italy. Size run: 35-41.
previous: Short laced up boot in transparent pvc with bright finish and cut and stitched lining with pattern "White and black Maculato"